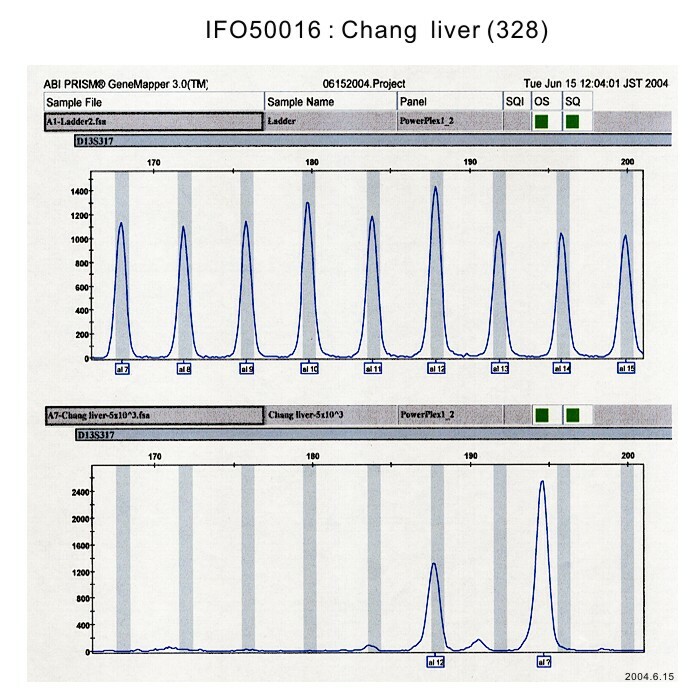 IFO50016 Chang Liver is HeLa-derivative. 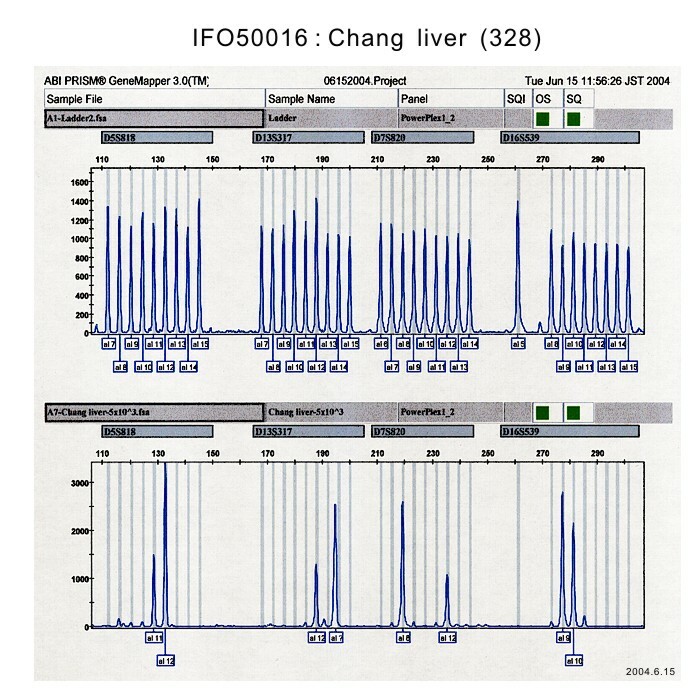 Later studies by chromosome analysis and by DNA profiling revealed the Chang Liver cell line is a derivative of HeLa (human uterine cervical carcinoma-derived cell line). 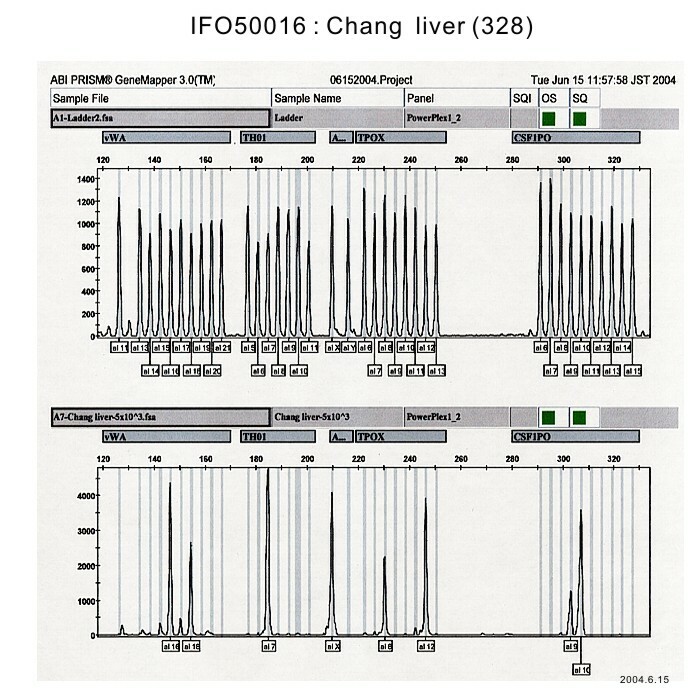 This replacement is worldwide, and therefore the replacement (or cross contamination) occured early in the establishment of Chang Liver. This cell line has been used for many studies, and therefore cell bank does not stop the distribution of this cell line. But it should not be used for the studies of liver cells. *Contamination of HeLa cells has been suspected in this line. 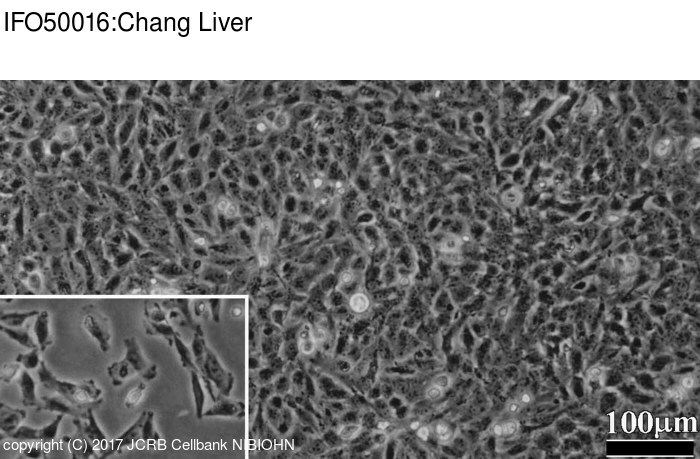 Production of interleukin 6 from human liver cell lines: production of interleukin 6 is not concurrent with the production of alpha-fetoprotein. Expression of liver and placental alkaline phosphatases in Chang liver cells. ANIMAL CELL STRAINS. THE CELL CULTURE COLLECTION COMMITTEE HAS ASSEMBLED AND CERTIFIED 23 STRAINS OF ANIMAL CELLS. Clonal variation and interaction of cells with viruses. Continuous subcultivation of epithelial-like cells from normal human tissues.